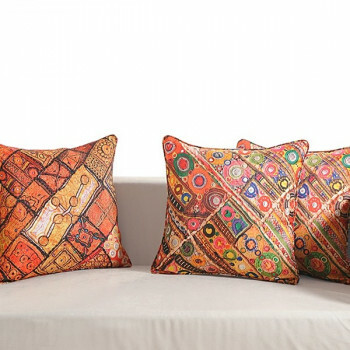 Submerge in the blissful aura around your home as you bring these wonderful cushion covers to enhance your space. 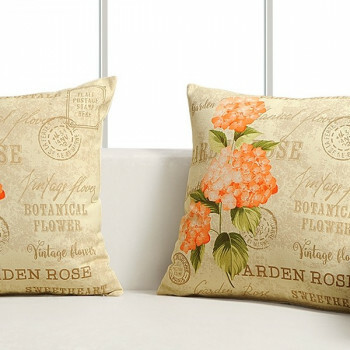 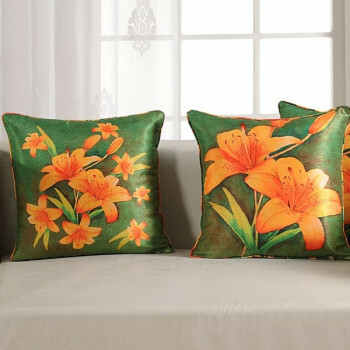 Make your home appeal a vibrant appearance with the bright beautiful flowers of your cushion covers. 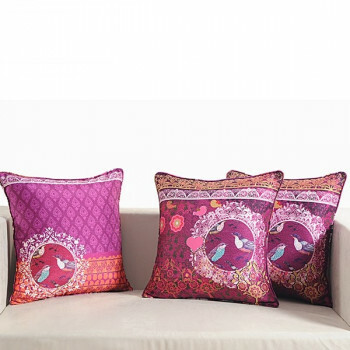 Buy lily digital printed cushion covers from our online shopping portal swayamindia.com and let the colors spread around your room. 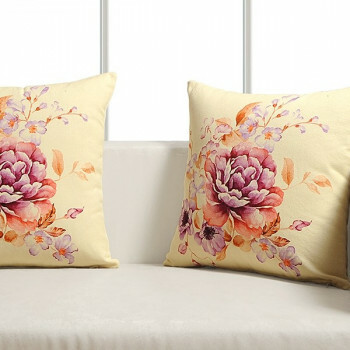 Like seeing a blooming flower every time you get home to give you a refreshing interior these silk cushion covers are here for you. 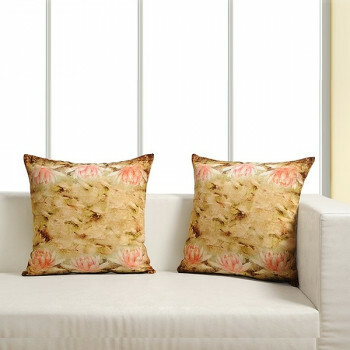 Glow your mornings and buy blooming digital printed cushion covers from swayamindia.com and indulge in the thriving occurrence of freshness. 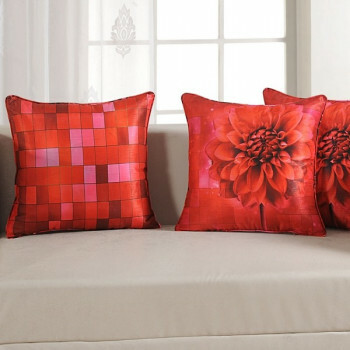 These covers in red have huge dahlia printed which signifies elegance. 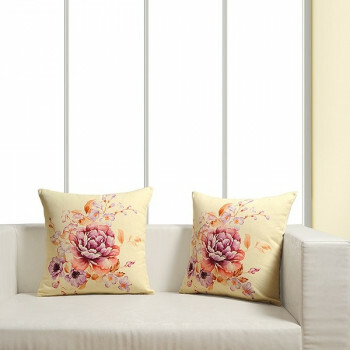 Everyone wants to have a home where the soothing ambience surrounds every corner. 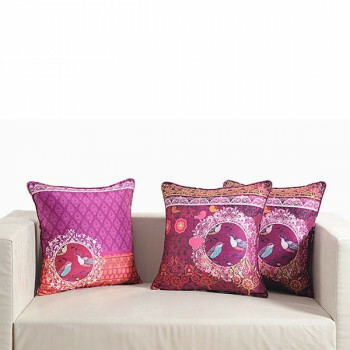 Now, with the help of cushion covers every wish is possible as they are designed by the best. 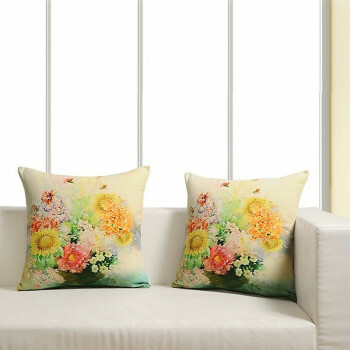 Let the floral designs bring a change in your old ways of living. 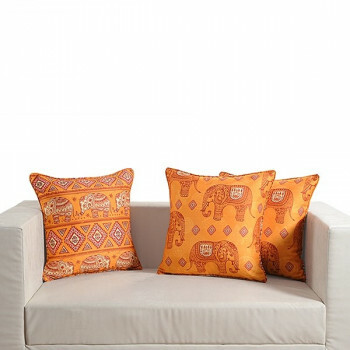 Introduce the wild side of your aesthetic sense to your home and view your interiors in a different perspective. 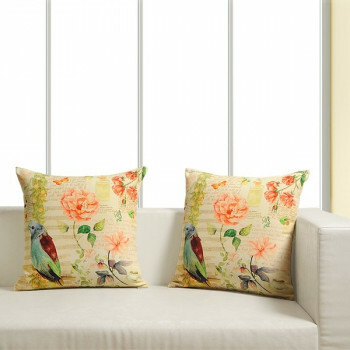 Make your home more colorful and attractive by draping your cushion with fabulous covers. 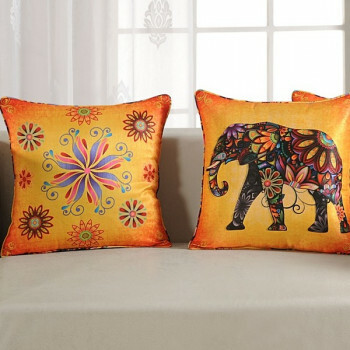 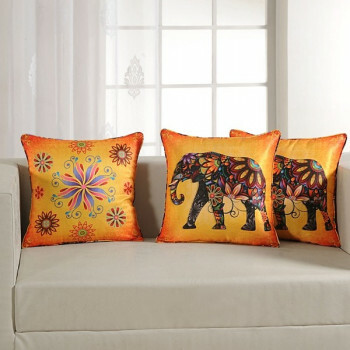 Buy elephant digital printed cushion covers from our online shopping portal swayamindia.com and bring the colors to life. 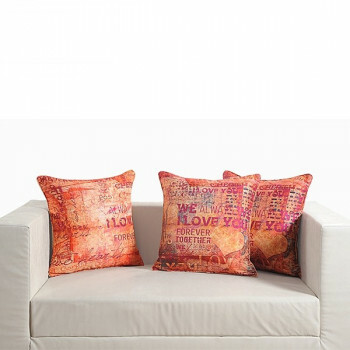 Some people love plain and simple covers but most are fascinated by complex designs and life like images. 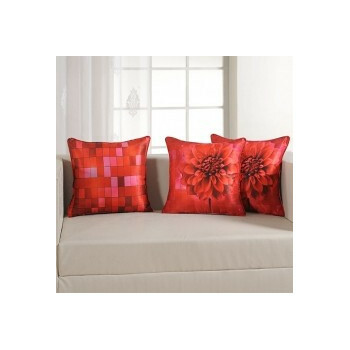 Your cushions can also be updated with the latest concept of designs i.e. 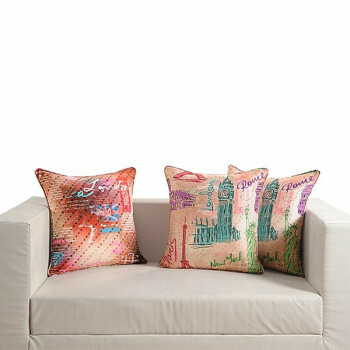 with landscapes and sceneries. 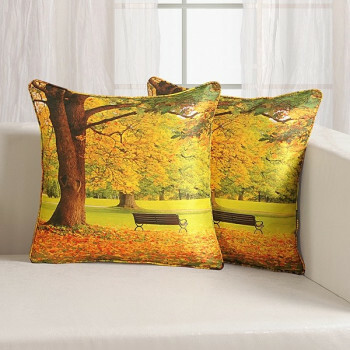 Bring the feeling like you are sitting on a bench in a park breathing in the soothing air. 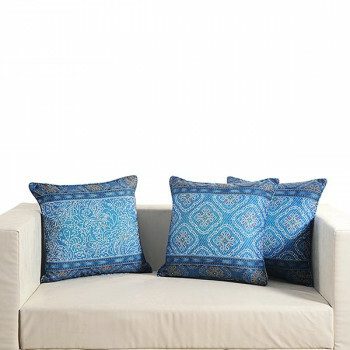 Make your sofa a place where you can calmly spend your time feeling the blissful aura. 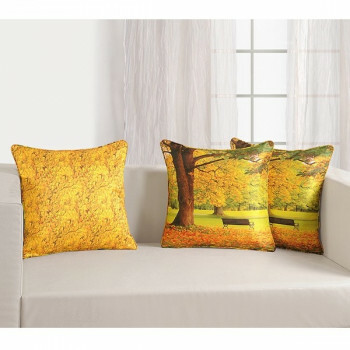 Let the life like landscapes accessorize your living space as they transform your world to a place in the heavens. 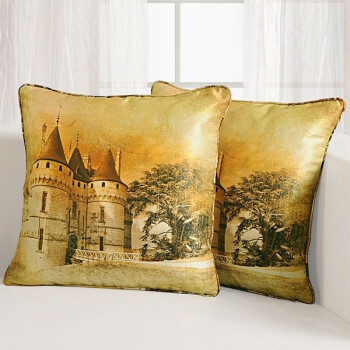 Beauty of a well decorated interior is an essential aspect which cannot be overlooked .Small things contribute to a major change in the outlook of the place. 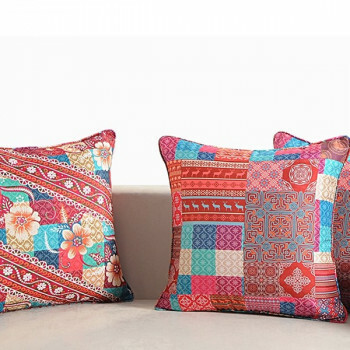 So, you could just start from your cushions. 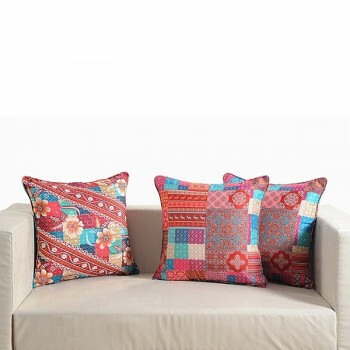 Buy tasteful digital printed cushion covers from swayamindia.com and accessorize your sofas, diwans, beds and even you dining chairs. 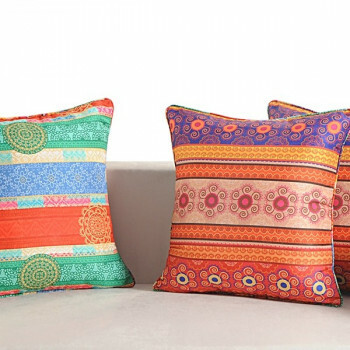 Choice and aesthetic sense of people vary from each other. 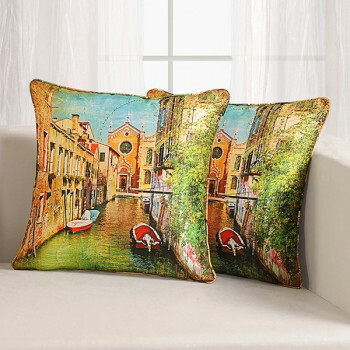 Some people prefer to live in a contemporary world and some desire to stay in an antique surrounding. 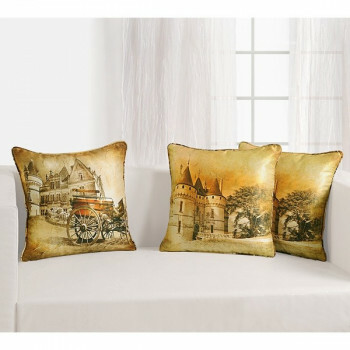 You too can choose to live in the traditional world with home décor products. 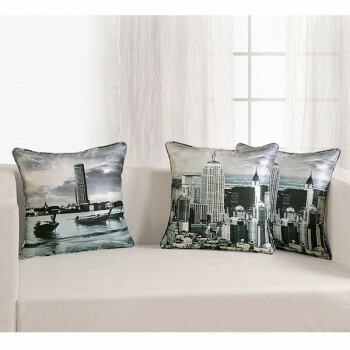 Now-a-days, cushion covers are also printed with designs representing the real world. 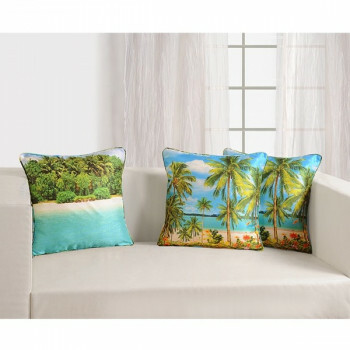 Turn your home to a place in paradise with cushion covers that give a life like impression. 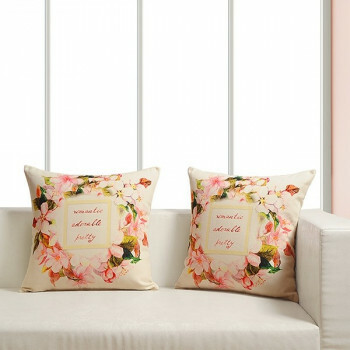 Make you home a comforting place where you can calmly sleep and relax on your sofa and bed. 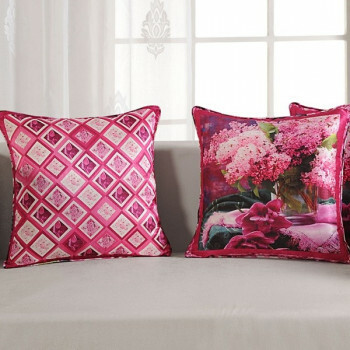 You will have a wonderful time around your home in the presence of these stunning covers. 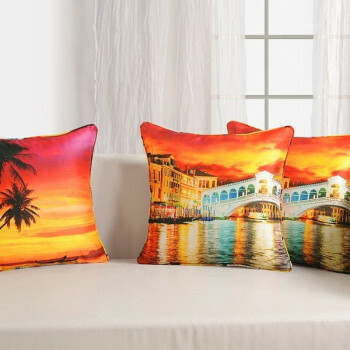 Scenes from around the world really fascinate the eye. 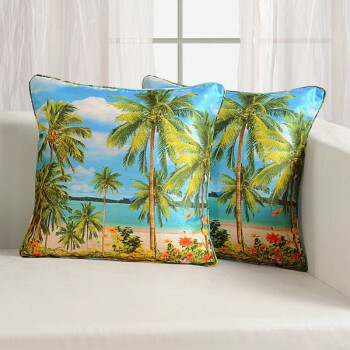 The beauty and nature can be so interesting that you imagine yourself physically present in that place. 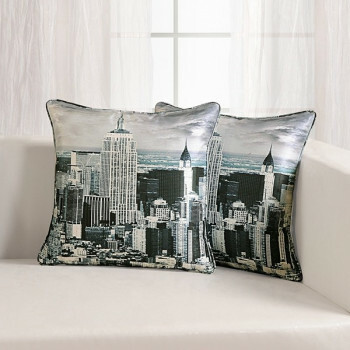 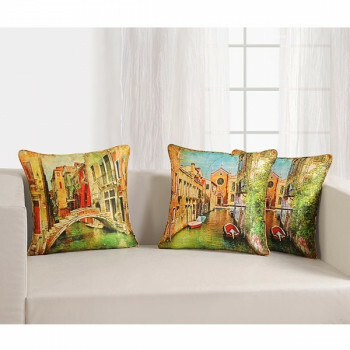 Italy is also a beautiful place therefore cushion covers are also designed reflect the magnificence of the place. 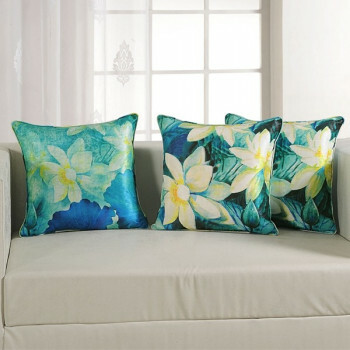 Cushions are one of the versatile accessories for your furniture. 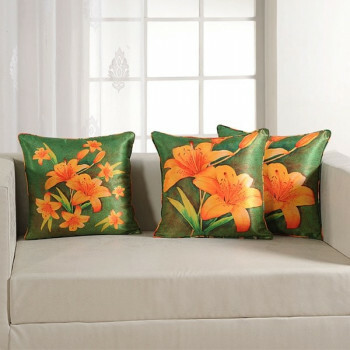 They are the source of beauty in your home and further you can place them anywhere you desire. 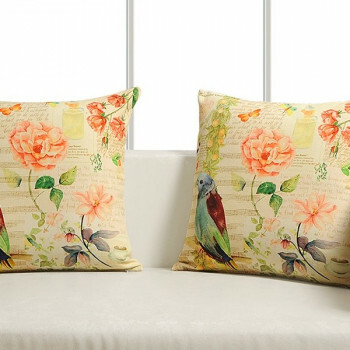 You can spread the elegance around your abode with the help of your cushions and their cushion covers. 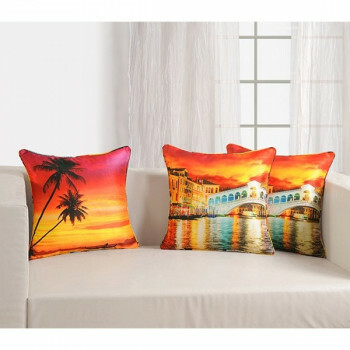 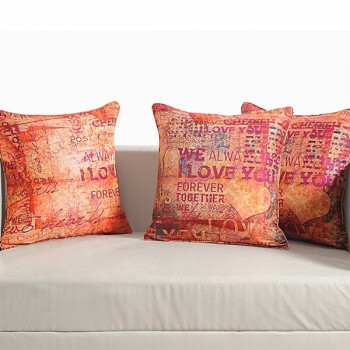 Buy digital printed cushion covers from our online shopping portal swayamindia.com and add vibrant colors to your room. 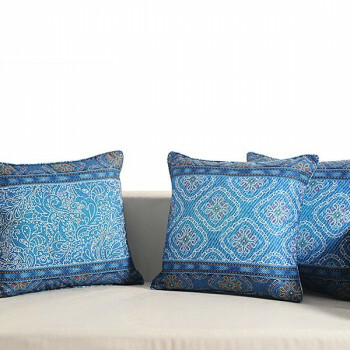 Place them on your sofa, bed or diwan to enhance the appearance. 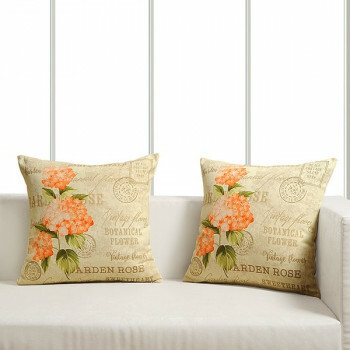 Let the life like images transform your living space to a place which you have only dreamed of. 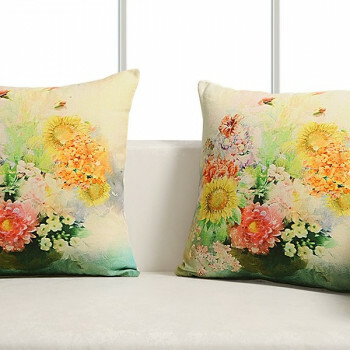 Printed with magnificent flowers, traditional prints and jaw dropping sceneries, you can turn your home with the view of your choice. 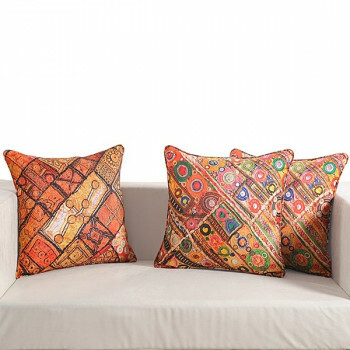 The prints on these reversible cushion covers are seamless as they are made using state-of-the-art machinery. 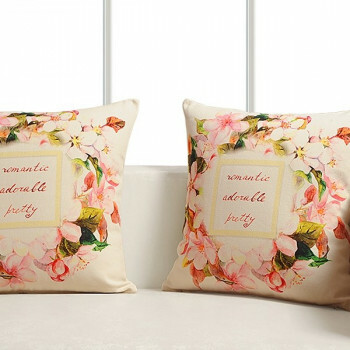 Two different designs are printed on either side of the cover to bring a diverse appearance. 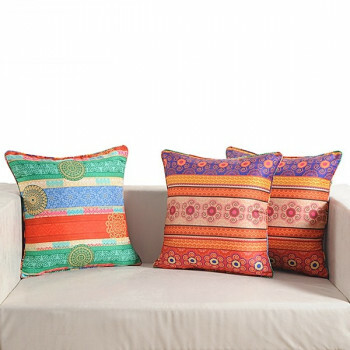 The concept of these covers is amazing which help to develop the peaceful aura around your living space. 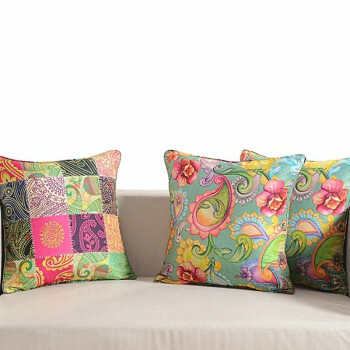 To make them perfect, the edges are stitched with a thin lining that give them a finish. 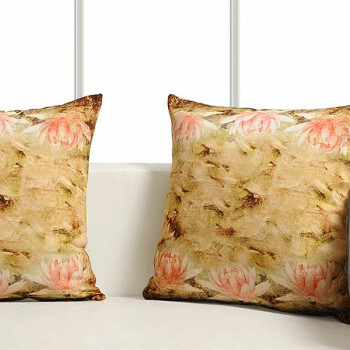 These natural flowers will make you feel calm and comfortable wherever you sit. 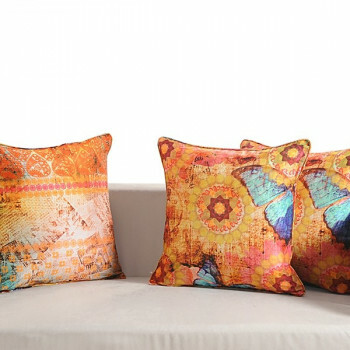 You can even place them on your dining chair by forming a mix and match with the table covers. 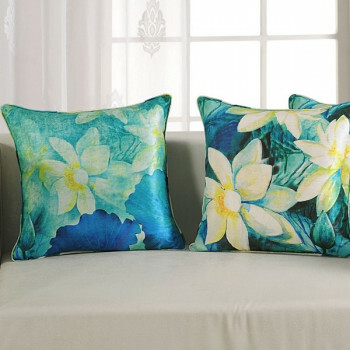 High-quality faux silk is used to make these covers which give them a smooth texture. 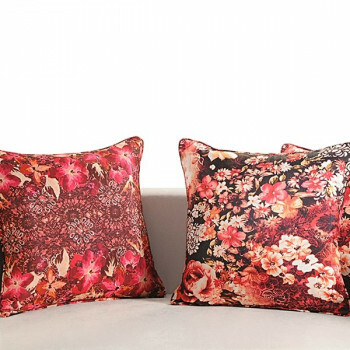 When covered over a mushy cushion, they can be very alluring and enticing to the onlookers. 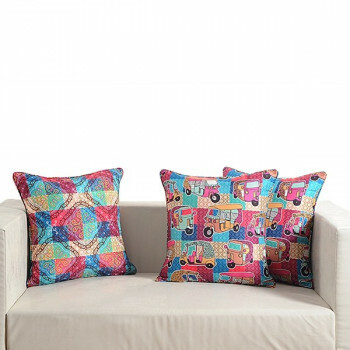 Buy digital printed cushion covers from our online shopping portal swayamindia.com and choose a modern life style. 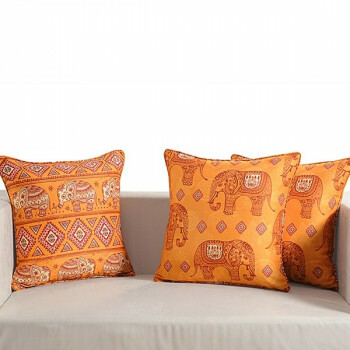 Cushion your back, bottom and neck wherever you sit as they are skin friendly and do not cause any rashes. 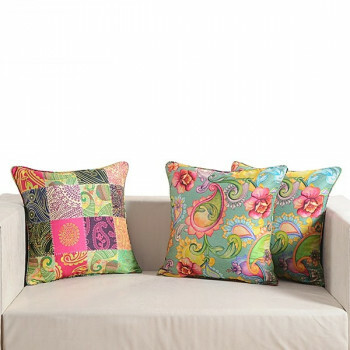 Being strong and colorfast in nature, these reversible cushion covers will ensure a long term service. 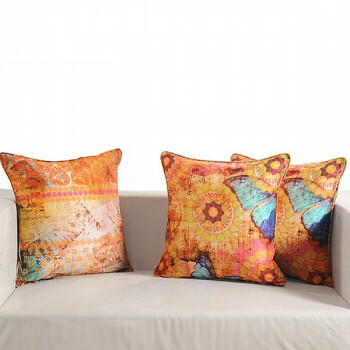 Buy digital printed cushion covers from our online shopping portal www.swayamindia.com and enjoy the benefits. 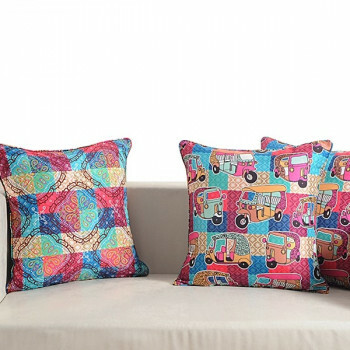 Free home delivery services are provided to customers purchasing products above Rs.500/-. 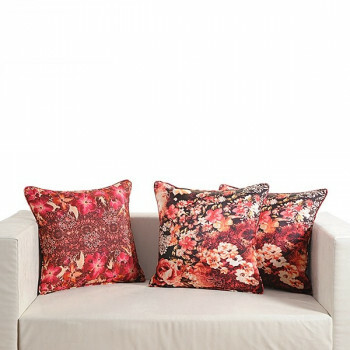 You can also return the products within 30 days in case of any dissatisfaction.